Inspired by craft brewers all over the world who are constantly pushing the brewing envelope to create new and innovative beers, my home brewing exploits resulted in the creation of a new beer style, the Sour Porter. While the traditional porter roasted malt flavor profile is apparent if you concentrate real hard, the initial sensation the brewing connoisseur will experience from this beer is an intense sourness in homage to the long Belgian tradition of sour ales. 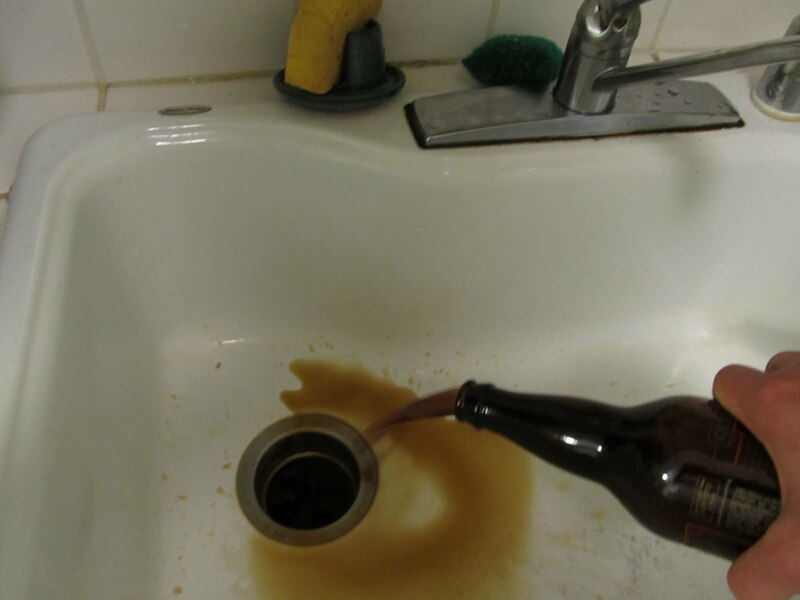 This innovative feat of home brewing was accomplished using traditional porter brewing ingredients fermented using traditional British Ale yeast, combined with a rare, mysterious yeast strain that can only be found lurking around somewhere in my apartment. Upon sampling this beer, there are those who will not share my out of the box thinking, and claim that it tastes like a home brewed porter gone terribly wrong due to some horrible yeast infection, but that will only prove they have highly unsophisticated palates. Lord, what the hell happened to my last home brew? It was supposed to be a coffee porter made with Starbuck’s Verona blend coffee, which I called Verona’s Coffee Porter as a tribute to my eight year old daughter of the same name. It tastes like some porter that someone poured a bottle of vinegar into. I suppose screwing up a home brew named after my daughter shows what a fair, even handed parent I am, since I just recently made a rather funny tasting brown ale named after my son Brandon. After further reflection and analysis, I believe I know where the contamination is from and will correct for it, but for now, I’m stuck with a bunch of undrinkable stuff. They say anything worth doing is worth doing badly. And like running, what you get out of home brewing is what you put into it, and my last couple of brewing efforts have been decidedly half-assed efforts. But the good thing about bad home brew is you can simply turn to beer made from a professional brewer who knows what he is doing, rather than choke down your own swill. And the struggles of home brewing is one way to appreciate the skills and talents of brewers who owe their livelihood to what comes out of their brew kettles. Sorry Verona, next time I’ll get it right. Possibly not as sour as the beer you brewed, but Porters originally were on the sour/tart (deponds on ones tastes) side: http://zythophile.wordpress.com/2010/04/14/so-you-think-you-know-what-porter-tastes-like-%E2%80%A6/ which is of course not mentioned in BA's style guides. ah, bummer. how did it get contaminated? Oh, I just read your other post. The joys of all grain brewing! You could always make a stout malt vinegar.